Please mute my playlist at the end of this blog. Throughout my life I can see God's beautiful handiwork, unfailing love and faithfulness towards my family and myself. I remember years ago when my husband and I were both teaching at a Christian School and also Jr. High Youth Leaders. We struggled a greatly financially. There were days we didn't know what we were going to have for dinner because there was nothing in the house to cook! As difficult those years were, I would not trade them for all the money in the world. Those few years taught me firsthand what it really means to walk by faith, and be totally dependent upon the Lord. I can remember time and again we would see how God would answer our prayers through His people; even when we did not share our prayer requests with a single soul. There were times when we were at church shaking hands and greeting people when Jim would look in his hand and there would be a $20 bill! No one but the Lord knew that we had no money to buy groceries! There was another incident when I had only one pair of shoes to my name. I was teaching kindergarten and during lunch one of my students spilled her milk, not only did it go all over the table but it also went into my shoes! I took off my shoes and put them out on the roof of my car to dry. After lunch I returned to retrieve my shoes and found that they had soured. What was I to do? I had no other shoes to wear that day, nor did I have another pair at home. I asked the students to pray with me as I asked God for another pair of shoes. About an hour later the principal of the school came into my room with a couple pair of shoes in her hand. Now, let me explain something, the kindergarten room was in a totally separate building from the rest of the school and we ate our lunch in our own room. When the principal came into my room I was standing behind my desk. She came over to me as said, “I was cleaning out my closet last night and I wonder if these shoes might fit you?” I stepped out from behind my desk with tears streaming down my face. She looked down at my feet and asked where my shoes were. I told her my story, she smiled and gave me a great big hug and said, “Well, try them on.” Guess what? They fit perfectly! My students’ faces were all surprised and they started to cheer. That day my students and I witness first hand God’s faithfulness. He promises to provide all our needs and answer our prayers. God is truly faithful. I love reading your beautiful posts. You have a lovely spirit and it just shines shines shines. Great is the Lord's faithfulness and aren't we blessed! Thank you for sharing this very comforting truth!! I love this song. Thanks for sharing! I liked your Friday Funnies, especially, the one about looking in the mirror and who is this old lady and how did she get here. That is what I think when I look in the mirror. And, I don't like it. But, what can we do? What an inspirational testimony. Just what I needed to hear today as I seem to face a few insurmountables myself. First, I loved the video you posted. I love that worship song and that version is that perfect! Second I was teary eyed reading your story. I am losing my job in January and this song just gave me such hope and trust in God, even more than what I have now. Thank you. 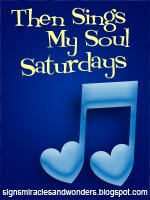 Just started with "Then Sings My Soul Saturday" and love the blog. Hope you will stop and visit me too! What an awesome song and your examples of God's faithfullness in your own walk were both so neat to read. Thank you for sharing. I love that beautiful song. Yes, our God does supply all our needs, in His time, sometimes at the last minute. It gave me chills to read this wonderful post. The children probably remember that too when they prayed and God answered. I just had to tell you that your story about how God provided you with shoes really touched my heart. We've been in situations like that before, and God has always come through. Years ago I was working in one of the skyrises in downtown Houston, and I would ride the park and ride bus to save on fuel costs. One afternoon, I was at the bus stop and a man who looked like he hadn't showered in a month walked by. He had the most beautiful blue eyes I had ever seen (I'll never forget them). He was walking barefoot, and I noticed as he crossed the intersection, he walked very deliberately along the painted white line on the road. It occured to me that the pavement hurt his feet, but the painted part was smooth. I immediately began to cry because it spoke loudly to me that he has feelings, hurts, and human needs like me. I prayed silently for him and asked the Lord to provide some shoes for him. The very NEXT DAY, I saw him walk by again with work boots on his feet and a new coat. His face even looked cleaner. I nearly burst into tears right there on the street. Indeed, our God is amazing. What an awesome story. Its wonderful to be reminded that God cares about everything in our lives, and is faithful in all things big and small. 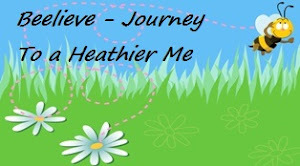 Michele, thanks for sharing this very encouraging post! Great indeed is God's faithfulness and mercy! It is encouraging to read of how God has faithfully provided for you and your husband in your time of need. I need to remember to trust in His faithfulness because His compassion fails not, they are new every morning! Thanks for sharing with us. Take care and may you continue to know God's love, mercies and faithfulness daily in many wonderful ways!